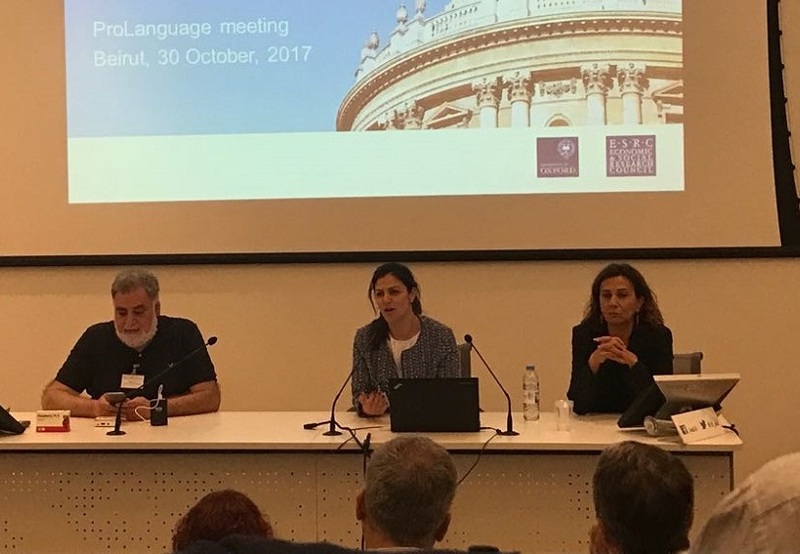 Dr Yasmine El Masri gave a joint presentation with Dr Nayla Fahed and Mr Nagi Ghorra from LAL NGO at the ProLanguage conference hosted in the Issam Fares Institute Auditorium at the American University of Beirut between 30th October and 1st November 2017. The presentation was entitled: “Addressing the language barrier in education using technology: The Tabshoura Project”. To learn more about the ProLanguage Project click here. LAL NGO provided an overview of their Tabshoura platform, including some of the offline solutions they developed in order to make their educational materials accessible to a larger number of students, especially those where there is limited internet access, such as in refugee camps. Dr El Masri highlighted the main language challenges that Syrian refugee students face when interacting with science tasks provided in English and French. Presenters discussed various approaches that could make Tabshoura more accessible to Syrian refugees (e.g. translating the tasks from English and French into Arabic, introducing specific instructions in Arabic, including a glossary of difficult terms in Arabic, etc.). 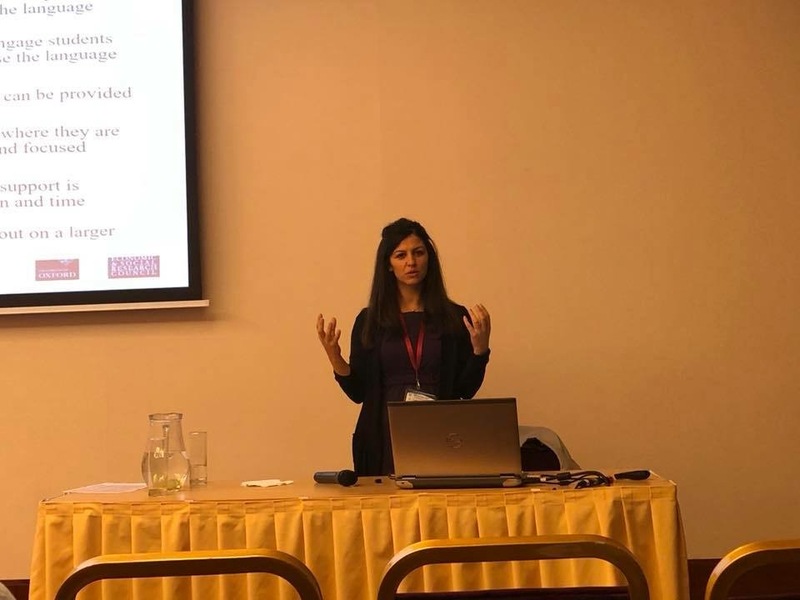 Dr Yasmine El Masri presented a paper at the annual conference of the Association for Educational Assessment – Europe (AEA-Europe) that was held in Prague between 9th and 11th November 2017. 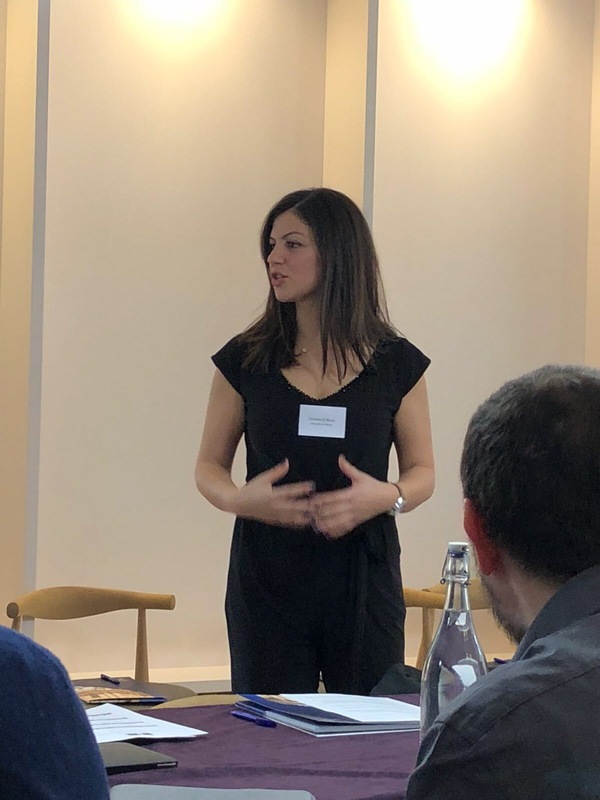 In her paper, El Masri uses data she gathered from the fieldwork in Lebanon to highlight the multiple challenges refugee students face when trying to cope with the host country’s assessment systems and cultures. Comparative international large scale assessments such as PISA, TIMSS and PIRLS have greatly shaped educational policy in various countries (e.g. Germany) raising concerns over the globalisation of assessment cultures and the normalising of assessment practices around the world. While some countries could argue that recent educational reforms have affected their assessment cultures and practices to mirror international assessment ‘norms’, there is little evidence to support that the way assessments have changed make it easier for youths to move across countries and share their experiences and understanding of the world. It is often the case that young people moving to new countries are compelled to adapt to the educational system and the assessment practices of that host country. This experience is particularly challenging for migrating students and is very distressful for young children that undergo forced displacement. Due to the scarcity of support, these children often fail to integrate into schools and ultimately drop out and become susceptible for exploitation and abuse. This has serious implications in terms of social justice and inequality. In Lebanon, over half a million student-aged Syrian refugees have been experiencing immense challenges in trying to access quality education since the outbreak of the civil war in 2012, with dropout rates as high as 400,000 recorded in 2014. 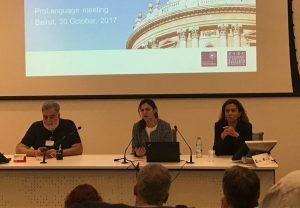 One of the most significant challenges has been that the language of instruction and assessment of both mathematics and science used in Lebanon, is English or French and not Arabic (i.e. the native language of both Syrian and Lebanese people). The language of instruction is a contentious subject in Lebanon and does not only constitute a barrier to quality education for Syrian refugees, it also delineates deprived Lebanese communities who typically host them. Both communities struggle to pass high stakes examinations in Lebanon at ages 15 and 18, for various reasons, with one being the language of mathematics and science assessment. Various initiatives have been taken to widen access to quality education for underprivileged Lebanese youth and young Syrian refugees. One of these is that of a local NGO which developed an open access platform (Tabshoura) offering a number of interactive educational tasks in various subjects (mathematics, science, civics, etc.) in English, French and Arabic to support the learning of vulnerable young people in Lebanon. This study analyses a subset of science tasks available on the Tabshoura platform, in terms of level of difficulty and demands, and attempts to better understand what makes science tasks more difficult for deprived youth in Lebanon and whether the interactive nature of the tasks reduces the language barrier. An English and French version of an online test consisting of four interactive tasks was administered to a 100 vulnerable students (Lebanese and Syrian) in two host schools (English and French medium) in Lebanon. Scores on the tests were used to select 10 students to participate in cognitive interviews where they voiced their thoughts as they completed the tasks. Results of tests and cognitive interviews were used to manipulate tasks to make them less demanding and to write a list of recommendations for the development of new material that supports the learning of vulnerable communities in Lebanon and allows them to show what they know. The paper provides an opportunity to discuss some of the significant challenges that young people going through forced migration face in relation to the distinct educational and assessment cultures between the host country and the country of origin and proposes interactive tasks as a way to bridge this gap. 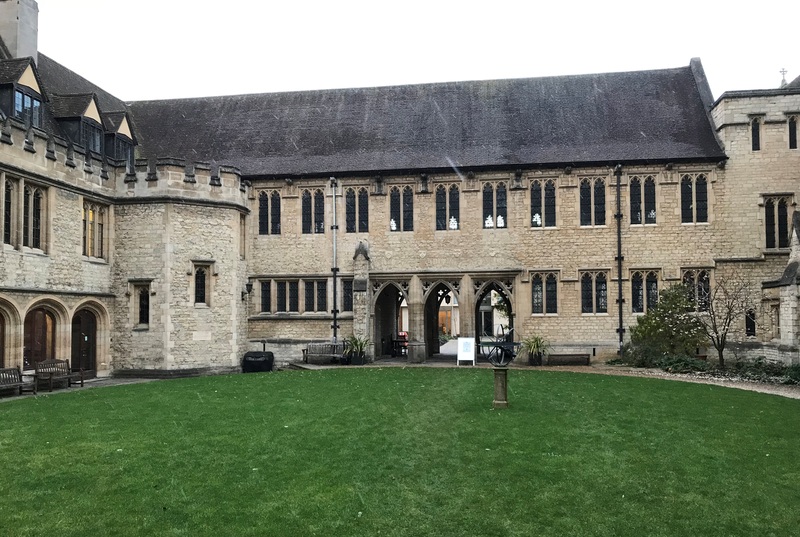 On Friday, 8th December 2017, Dr Yasmine El Masri hosted a symposium on Technology and the Language Barrier in Education: From Lebanon to the UK at St Cross College, Oxford. Speakers included Ms Muriel Albina (Lebanese Alternative Learning NGO, Lebanon), Ms Massa Mufti (Sonbola NGO, Lebanon), Prof Pauline Rea-Dickins (OUCEA), Dr Niall Winters (Department of Education, University of Oxford), Dr Maha Shuayb (Centre for Lebanese Studies) and Prof Agnes Kukulska-Hulme (Open University). 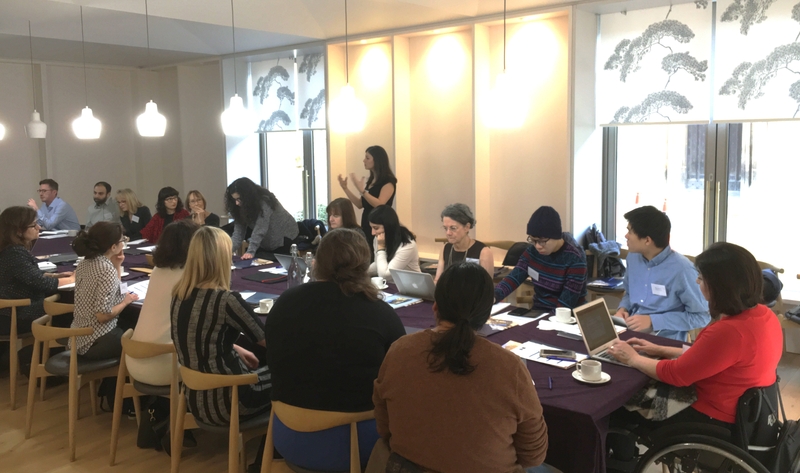 The event concluded with a panel discussion that focused on the implications for teaching and assessment of migrants in the UK. Panel members included Dr Jess Briggs (Department of Education, University of Oxford), Mr Ezekiel Sweiry (Assessment and Qualifications Alliance, AQA), Mr Mike Solly (British Council), Dr Oksana Afitska (Lancaster University) and Ms Jenny Smith (Sheffield City Council).